CRS was founded in 1987 as a telephone-based service, but it was among the first to begin doing business over the Internet in 1994. The company’s Web site, CRSHotels.com, grew steadily as a revenue source to the point that it now receives 50,000 visitorsa month and accounts for 90% of the company’s sales. 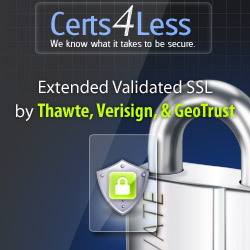 The presence of the VeriSign Secured Seal delivered the uplift in conversions that CRS had been hoping for, but cart abandonment continued to be a problem. Recently, with its VeriSign license almost due for renewal, the company conducted a survey to find out why so many potential customers failed to complete the purchase procedure. 27% reported concern about the security of their credit card numbers and personal information. In this test, CRS used Google analytics to compare conversion rates of users of Internet Explorer 7 (IE7) – which displays the EV green address bar – with those from users whose browsers do not yet have this capability. Since there were no other material differences from browser to browser, this was a valid way to measure EV’s impact. “On the Web site we take great care to describe why EV protects credit card and personal information so well,” Ogun continued. “Our FAQs explain that EV SSL is the highest standard in the Internet security industry for Web site authenticity, and that it signifies that we have passed VeriSign’s rigorous identity authentication procedure.